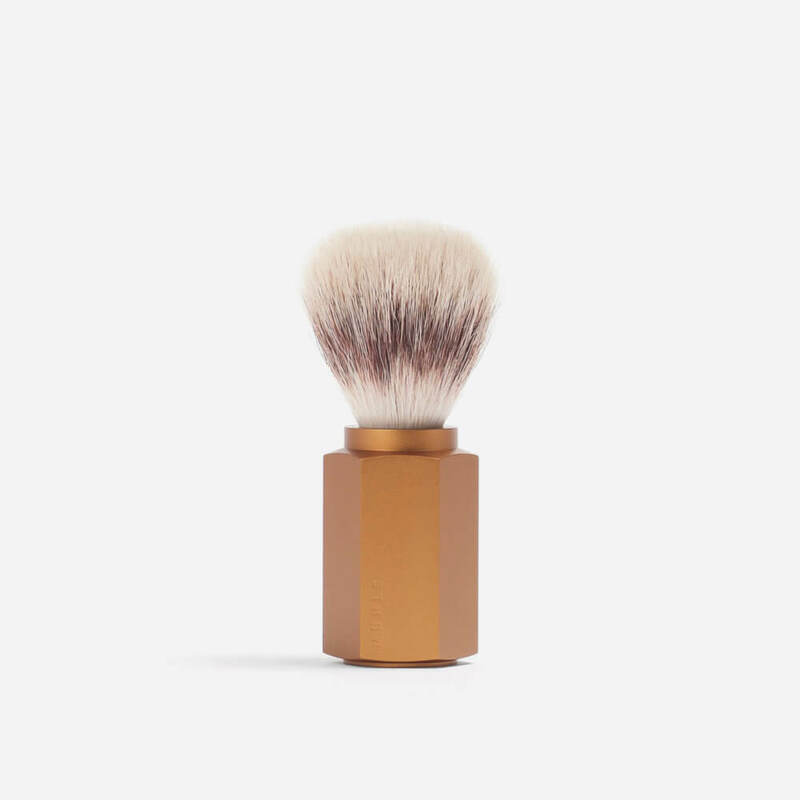 Silvertip fibre synthetic shaving brush with a bronze anodised solid aluminium handle. 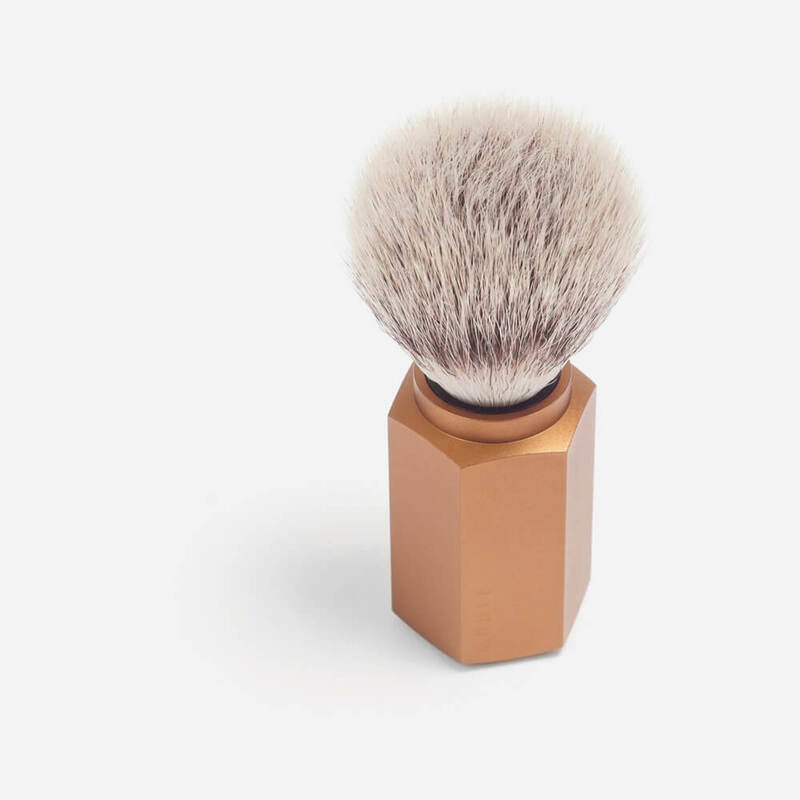 A collaboration between renowned Berlin designer Mark Braun and Muhle, the Hexagon shaving brush features an anodised silver aluminium hexagonal handle filled with Muhle’s synthetic silvertip fibres. 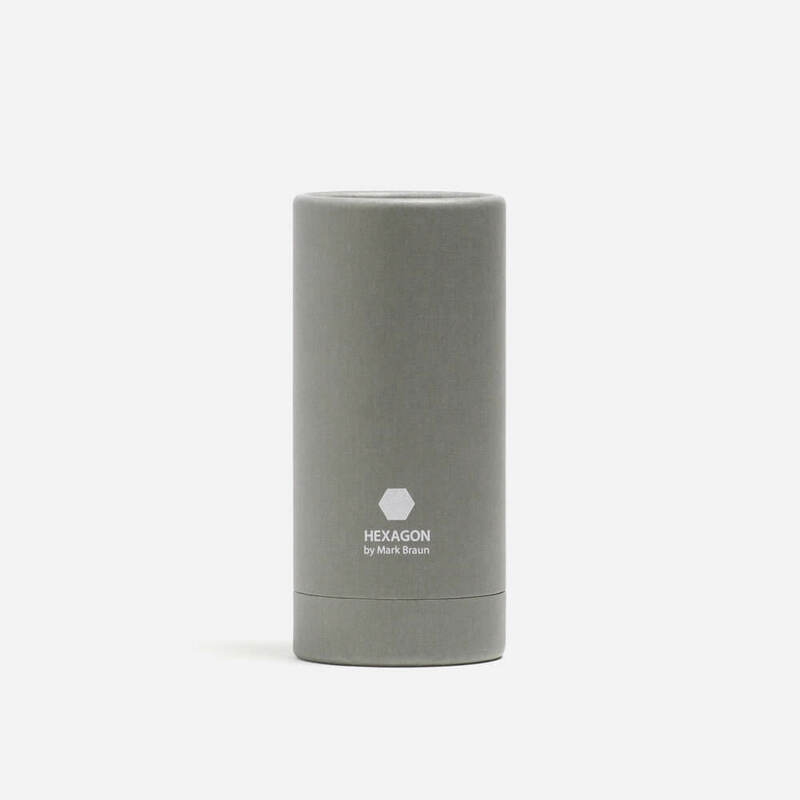 Handle: Silver anodised aluminium. The Muhle logo is engraved on the handle.